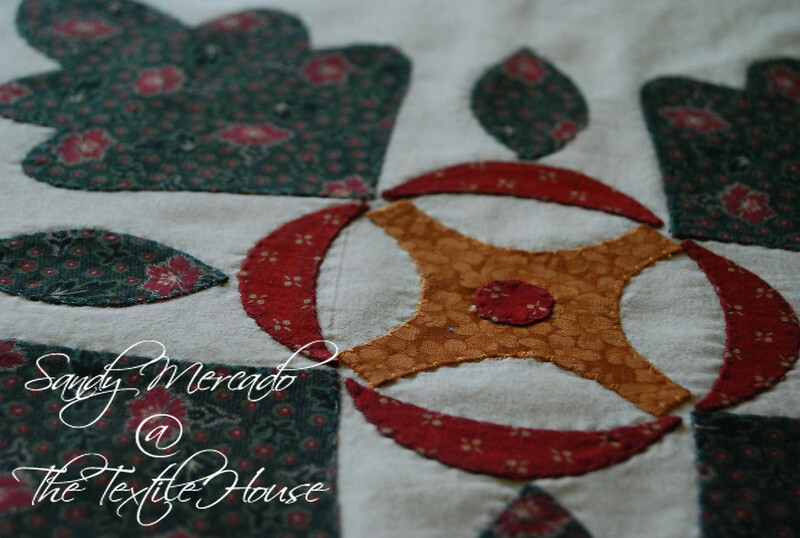 Over the weekend I finished the Applique piece I needed to make for my retreat in June. I was able to pull out the freezer paper without tearing out the seams. Woo hoo!!! The stitching went fast and, I think, with a bit of practice and more thought as to thread and needle, the stitches might become invisible. I actually liked it so much, I decided not to ruin it by using it as a sample to quilt on. Since this is the center to a gorgeous piece that was featured many years ago in American Patchwork and Quilting, I'm going to keep it as the start of another keeper. The quilt is called Autumn Splendor and the pattern can be downloaded from the allpeoplequilt.com site (actually it's on bhg.com) here. So, I'm back to the drawing board on my applique. 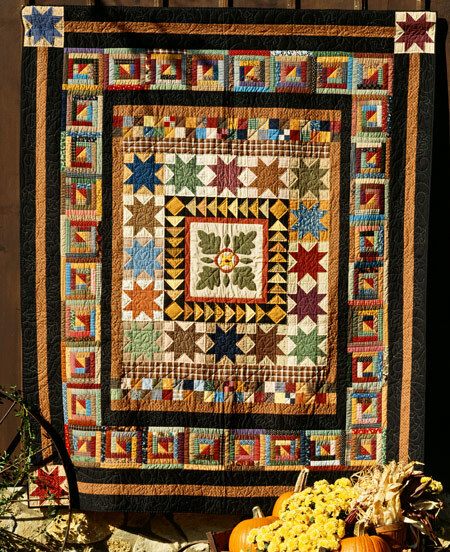 I already chose another pattern by Kim Diehl from her book Simple Traditions. I'm trying another technique for this one based on the applique instructions in the book. I'll post pictures when I have the pieces further along. Here's hoping I won't fall in love with this one too! 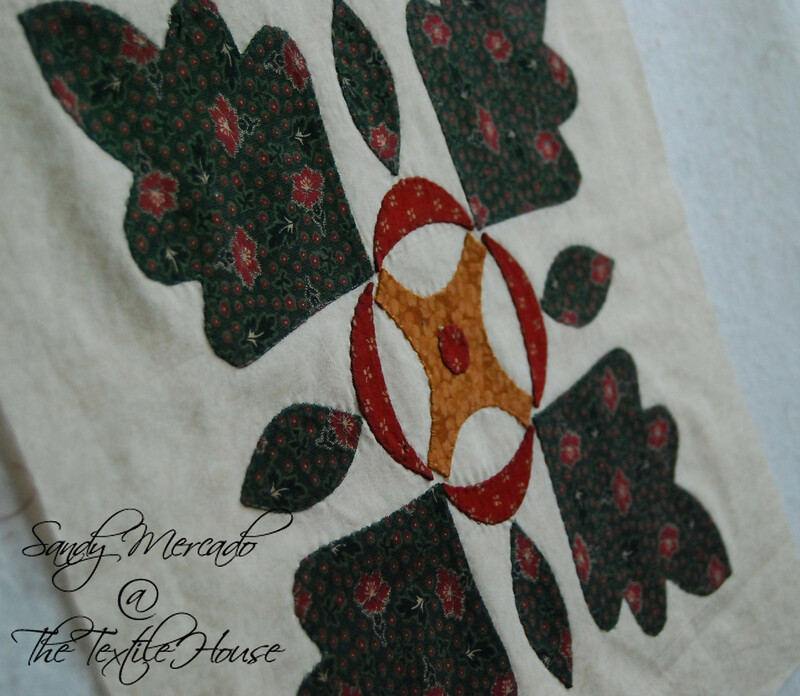 4 comments on "Applique Done... or Not"
Beautifully done! You cannot go wrong with a Kim Diehl design, so it will be fun to see what you do. Missing you, hope all is well.